Kabul , is the capital of the Islamic Republic of Afghanistan also the largest city of Afghanistan, located in the eastern section of Afghanistan. According to a 2012 estimate, the population of the city was around 3,289,000, which includes all the major ethnic groups. It is the 64th largest and the 5th fastest growing city in the world. During the Soviet war in Afghanistan the city continued to be an economic center and was relatively safe. Between 1992 and 1996, a civil war between militant groups devastated Kabul and caused the deaths of thousands of civilians, serious damage to infrastructure, and an exodus of refugees. Since the Talibans fall from power in November 2001, the Afghan government and other countries have attempted to rebuild the city, although the Taliban insurgents have slowed the re-construction efforts and staged major attacks against the government, the NATO-led forces, foreign diplomats and Afghan civilians. The word "Kubh?" is mentioned in the Rigveda, one of the four canonical sacred texts (?ruti) of Hinduism, and the Avesta, the primary collection of sacred texts of Zoroastrianism, refers to the Kabul River. The Rigveda praises it as an ideal city, a vision of paradise set in the mountains. The area in which the Kabul valley sits was ruled by the Medes before falling to the Achaemenids. There is a reference to a settlement called Kabura by the rulers of the Achaemenid Empire, which may be the basis for the future use of the name Kabura by Ptolemy. It became a center of Zoroastrianism followed by Buddhism and Hinduism. Alexander the Great explored the Kabul valley after his conquest of the Achaemenid Empire in 330 BC but no record has been made of Kabul, which may have been only a small town and not worth writing about. The region became part of the Seleucid Empire but was later given to the Indian Maurya Empire. "Alexander took these away from the Aryans and established settlements of his own, but Seleucus Nicator gave them to Sandrocottus (Chandragupta), upon terms of intermarriage and of receiving in exchange 500 elephants." The Greco-Bactrians captured Kabul from the Mauryans in the early 2nd century BC, then lost the city to their subordinates in the Indo-Greek Kingdom around the mid-2nd century BC. Indo-Scythians expelled the Indo-Greeks by the mid 1st century BC, but lost the city to the Kushan Empire about 100 years later. 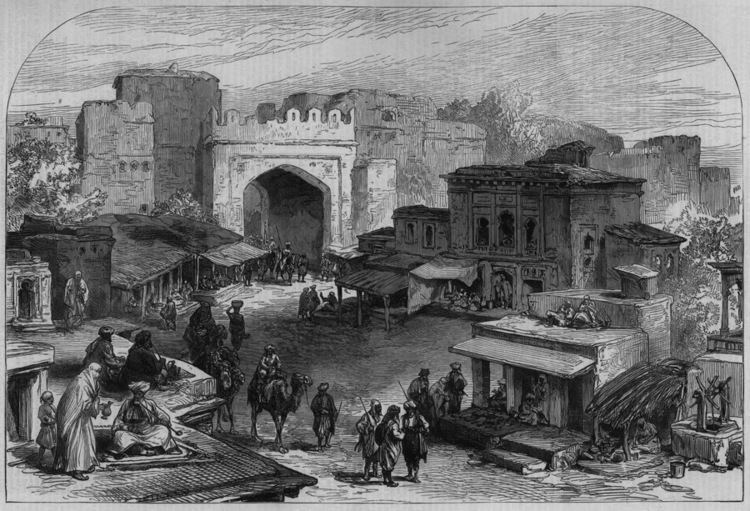 Some historians ascribe Kabul the Sanskrit name of Kamboja (Kamboj). It is mentioned as Kophes or Kophene in some classical writings. Hsuan Tsang refers to the name as Kaofu in the 7th century AD, which is the appellation of one of the five tribes of the Yuezhi who had migrated from across the Hindu Kush into the Kabul valley around the beginning of the Christian era. It was conquered by Kushan Emperor Kujula Kadphises in about 45 AD and remained Kushan territory until at least the 3rd century AD. The Kushans were Indo-European-speaking Tocharians from the Tarim Basin. Around 230 AD, the Kushans were defeated by the Sassanid Empire and replaced by Sassanid vassals known as the Indo-Sassanids. During the Sassanian period, the city was referred to as "Kapul" in Pahlavi scripts. In 420 AD the Indo-Sassanids were driven out of Afghanistan by the Xionite tribe known as the Kidarites, who were then replaced in the 460s by the Hephthalites. 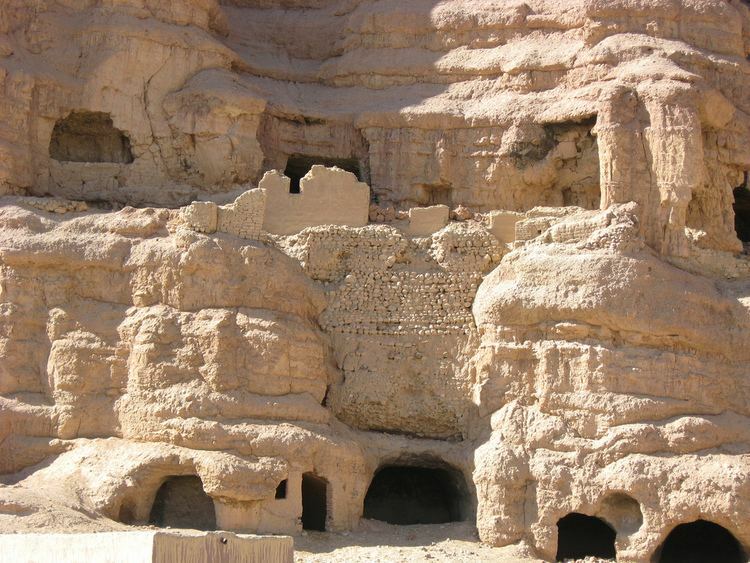 It became part of the surviving Turk Shahi Kingdom of Kapisa, also known as Kabul-Shahan. According to Táríkhu-l Hind by Al-Biruni, Kabul was governed by princes of Turkic lineage whose rule lasted for about 60 generations. "Kábul was formerly governed by princes of Turk lineage. It is said that they were originally from Tibet. The first of them was named Barhtigín ... and the kingdom continued with his children for sixty generations. ... The last of them was a Katormán, and his minister was Kalar, a Bráhman. This minister was favored by fortune, and he found in the earth treasures which augmented his power. Fortune at the same time turned her back upon his master. The Katormáns thoughts and actions were evil, so that many complaints reached the minister, who loaded him with chains, and imprisoned him for his correction. In the end the minister yielded to the temptation of becoming sole master, and he had wealth sufficient to remove all obstacles. So he established himself on the throne. After him reigned the Bráhman(s) Samand, then Kamlúa, then Bhím, then Jaipál, then Anandpál, then Narda-janpál, who was killed in A.H. 412. His son, Bhímpál, succeeded him, after the lapse of five years, and under him the sovereignty of Hind became extinct, and no descendant remained to light a fire on the hearth. These princes, notwithstanding the extent of their dominions, were endowed with excellent qualities, faithful to their engagements, and gracious towards their inferiors..."
The Kabul rulers built a long defensive wall around the city to protect it from enemy raids. This historical wall has survived until today. It was briefly held by Tibetan Empire between 801 and 815. Kabul serves as the nations cultural and learning center, situated 1,791 meters (5,876 feet) above sea level in a narrow valley, wedged between the Hindu Kush mountains along the Kabul River. It is linked with Kandahar, Herat and Mazar-e Sharif via the circular Highway 1 that stretches across Afghanistan. It is also the start of the main road to Jalalabad and further to Peshawar in Khyber Pakhtunkhwa. The Kabul International Airport is located about 16 kilometers (9.9 mi) from the center of the city, next to the Wazir Akbar Khan neighborhood. Bagram Airfield is about 25 miles (40 km) northeast of Kabul. Kabul has a semi-arid climate (Köppen climate classification BSk) with precipitation concentrated in the winter (almost exclusively falling as snow) and spring months. Temperatures are relatively cool compared to much of Southwest Asia, mainly due to the high elevation of the city. Summer has very low humidity, providing relief from the heat. Autumn features warm afternoons and sharply cooler evenings. Winters are cold, with a January daily average of ?2.3 °C (27.9 °F). Spring is the wettest time of the year, though temperatures are generally amiable. Sunny conditions dominate year-round. The annual mean temperature is 12.1 °C (53.8 °F). The Ministry of Finance which is located in Kabul and led by Omar Zakhilwal, is responsible for overseeing the economic infrastructure of Afghanistan. Kabuls main products include fresh and dried fruit, nuts, beverages, Afghan rugs, leather and sheep skin products, furniture, antique replicas, and domestic clothes. The world bank authorized $25 million for the Kabul Urban Reconstruction Project which closed in 2011. 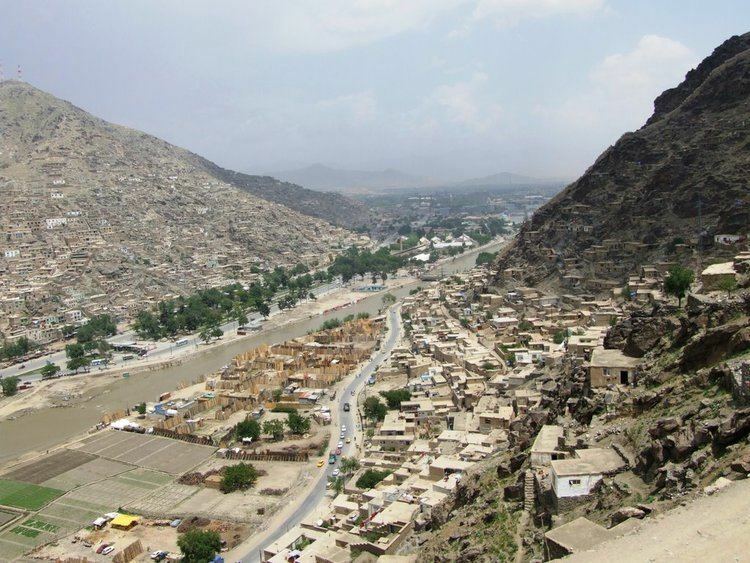 Over the last decade, the United States has invested approximately $9.1 billion into urban infrastructure in Afghanistan. The wars since 1978 have limited the citys economic productivity but after the establishment of the Karzai administration. Since late 2001, local economic development has included a number of indoor shopping centers. In Kabul, there are 5-star hotels which include; The Serena Hotel, built by The Aga Khan Development Network (AKDN), and The Marriott Hotel near the U.S. Embassy. The Inter-Continental is also in the process of being redeveloped. The Safi Landmark Hotel is a 4-star hotel located in the Kabul City Center. Other places of interest include Kabul City Center, which is Kabuls first shopping mall, the shops around Flower Street and Chicken Street, Wazir Akbar Khan district, Kabul Golf Club, Kabul Zoo, Abdul Rahman Mosque, Shah-Do Shamshira and other famous mosques, the National Gallery of Afghanistan, the National Archives of Afghanistan, Afghan Royal Family Mausoleum, the OMAR Mine Museum, Bibi Mahro Hill, Kabul Cemetery, and Paghman Gardens. The Aga Khan Development Network (AKDN) was also involved in the restoration of the Bagh-e Babur (Babur Gardens). There are local travel agencies developing their activity in the country. For Example : Letss be friends - Afghanistan offers only private tours in the country with very good prices. They want to organize wonderful tours around the country to introduce the tremendous Afghan culture and sites to visitors. Afghan cuisine is largely based upon the nations chief crops, such as wheat, maize, barley and rice. Accompanying these staples are native fruits and vegetables (including nuts) as well as dairy products such as milk, yogurt and whey. Kabuli Palaw is the national dish of Afghanistan. The nations culinary specialties reflect its ethnic and geographic diversity. Afghan food is generally prepared according to Islamic dietary laws. Afghanistan is known for its high quality pomegranates, grapes and sweet football-shaped melons.